Another day, another legal challenge to ways of working within the so-called ‘gig economy’, this time in relation to the rights of “outsourced” workers, of which there are around 3.3 million in the UK. This new challenge by the Independent Workers Union of Great Britain (“IWGB”) follows shortly after its previous test case regarding the employment status and rights of Deliveroo, in which the Central Arbitration Committee (“CAC”) found their riders were “self-employed” and not “workers”. 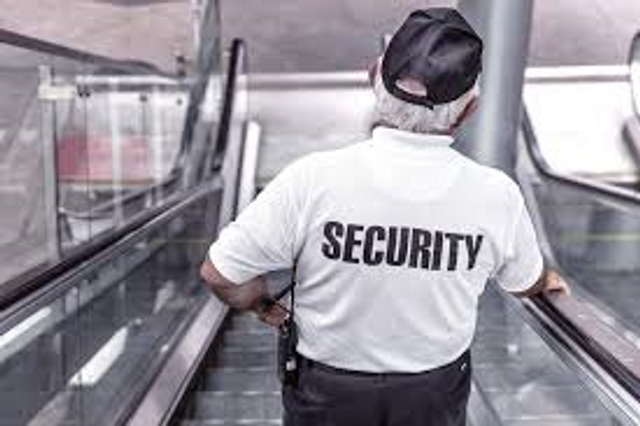 Large companies frequently use agencies or facilities companies to provide often low-paid workers such as cleaners and security guards. Some say this allows the company to benefit from being able to control the workers conditions and pay, but avoid the responsibilities that come with being a formal employer. Many outsourced workers feel that they work at the companies just like any other employee, but are denied basic rights, and are treated in some respects as second class workers. Specifically, the IWGB are now bringing a landmark test case to the CAC on behalf of outsourced support workers such as receptionists, porters and security officers. The 75 individuals work at the University of London, but are technically employed by the facilities management company, Cordant. The legal challenge here relates to rights of the support staff to negotiate their pay and conditions directly with the university as opposed to through the agency. Currently, the outsourced workers do not enjoy the same benefits as those employed directly by the university. The main argument that the IWGB has raised is that by denying these workers the right to collectively bargain with their ‘de facto employer’, this is a breach of Article 11 of the European Convention on Human Rights i.e. to join a trade union and have it protect their interests. If the IWGB succeeds, this could pave the way for a whole new structure in ‘gig economy’ working to be scrutinised by the courts, and allow outsourced workers across all industries to be able to negotiate with the companies which ultimately benefit from their labour, and cut out the “glorified middleman”. At present, workers can only collectively bargain with their direct employer. However, it is thought that if it could be established that the university is a “joint employer” for the purposes of collective bargaining, this could apply across the board to those employed through agencies and management companies. It could also mean that unions could then collectively bargain terms and conditions of outsourced workers with the “joint employer”, making it more difficult for employers to then justify onerous and potentially unfair conditions. Daphne Romney QC commented that if UK law started to recognise the concept of “joint employers” for the purpose of negotiating workers’ terms, it would have an “enormous” impact which would improve conditions significantly. At present, the University of London does not agree that it is responsible as a “joint employer” and therefore does not recognise the requests of the IWGB or their outsourced workers, who conversely argue that these workers have the right to collectively bargain directly. It will be very interesting to see what the CAC will decide here, and how its findings will work in light of the recent decisions relating to Uber and Deliveroo. What other types of working model will be next in line to the tribunal for examination? This article was written by Becky Minear, Trainee Solicitor, with assistance from Clare Gilroy-Scott, Partner. If successful, the case could potentially open the door for thousands of outsourced workers across the UK to negotiate with the company that ultimately benefits from their labour. The union said that if it established the precedent of a joint employer for the purposes of collective bargaining, this could potentially be applied to people employed via agencies, such as those working in the Sports Direct warehouse.